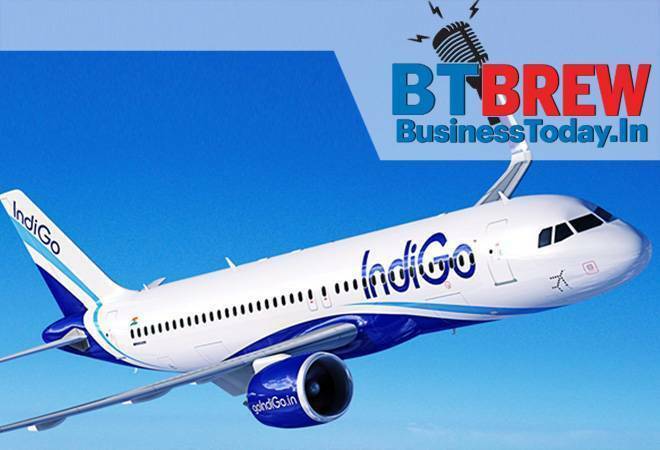 Private airline, IndiGo, is the "worst performing" carrier for consumers, while national carrier Air India has the best luggage policy, said a parliamentary panel chairman Derek O' Brien. TMC MP O'Brien, who heads the Parliamentary Standing Committee on Transport, Tourism and Culture, Thursday said the panel had taken strong note that during festive season some airlines were charging 8-10 times more than the normal fares. The Civil Aviation Ministry comes under the purview of this panel. Financial services conglomerate HDFC group has become the most valuable business house in the country, surpassing Tatas, with the cumulative market valuation of its five listed companies surging to Rs 10.40 trillion. While HDFC group has five listed firms - HDFC Ltd, HDFC Bank, HDFC Standard Life Insurance Company, Gruh Finance Ltd and HDFC Asset Management Company- Tatas have nearly 30 listed companies on the bourses. Bengaluru-based Saankhya Labs unveiled the first indigenously developed electronic chipset that can be used for functions like direct TV broadcast on mobile devices, curbing call drops and 5G connections. All electronic chipsets, considered as the heart of modern devices, have been developed by foreign companies so far. None of them is made in India because there is no modern semiconductor manufacturing plant in the country. Electronic chipsets of Saankhya Labs are also being manufactured at Samsung facility in South Korea. Telecom regulator TRAI has given time till January 31 for consumers to opt for channels of their choice under the new framework for broadcasting and cable services. Distribution platform operators (DPOs) have been permitted to seek options from consumers till January 31 and customers will be migrated as per their choice from February 1. The new framework allows consumers to select and pay only for the channels they wish to view, and requires TV broadcasters to disclose the maximum retail price (MRP) of each channel and that of bouquets. All motor vehicles will come fitted with tamper-proof high security registration plates (HSRPs) from April 1 to protect against counterfeiting, Parliament was informed Thursday. "The ministry has notified ... mandating that HSRP including the third registration mark, wherever required, shall be supplied by vehicle manufacturers along with the vehicle manufactured on or after April 1, 2019 to their dealers," Transport Minister Nitin Gadkari has told Lok Sabha. The proposal to amend the concerned rule in Central Motor Vehicles Rules, 1989 was placed in the public domain and was discussed in a meeting on June 5, 2018. The country's automobile sector, which attracted USD 16.5 billion in FDI between April 2000 and December 2016, is expected to attract USD 8-10 billion more in local and foreign investments by 2023, the government said. The Year End Review 2018 of the Ministry of Heavy Industries and Public Enterprises, which made the projections, said growth of the industry in India since early 1990s is an example of how industrial prowess supported by progressive policies and national economic growth can yield rewards to all stakeholders.